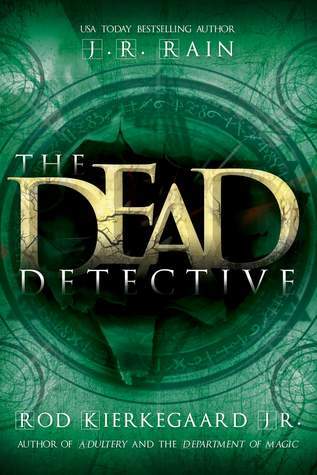 Book Review: The Dead Detective (Dead Detective Series #1) by J.R. Rain, Rod Kierkegaard Jr.
by J.R. Rain, Rod Kierkegaard Jr.
Medical-school-dropout police detective Richelle Dadd is... well, dead. But that won't stop her from trying to hold on to her house in a divorce battle with a bitter husband. Or keep her from digging into her own murder, to discover who put the bullet into her heart. And it certainly won't stand in the way of finding out the reason she's been reanimated as a zombie assassin, no longer in control of her life. Richelle will face off against Gypsy shamans, double-crossing ghosts, a partner she can't trust, and her own undead nature in a journey into the depths of the occult world and out the other side without losing her sense of humor - or humanity - along the way. It's a good thing her deductive skills - and her aim - are still up to par. I have been a fan of J.R. Rain for many years and I'am especially fond of his Vampire for Hire books. Unfamiliar with Kierkegaard's work I thought this might be an interesting book to read although I am not usually a fan of the Zombie stories. I usually want you to be "dead" or "alive"! Hard for me to straddle that line. You can definitely pick out J.R. Rain's writing in this story. He does a great job of character development and likability. The book had a great introductory hook and I felt myself drawn in by the main character. Wake up on a cold concrete floor thinking you're the center of a horrible office prank only to find out that NOOOO, that chalk outline of your body was real! Freaky. From there I bought into the story and enjoyed the main character's thought process on adjusting to her situation. Then it became a little murky for me. Deciding who to tell, who not to tell and still able to pull off being a normal cop was really reaching! I was exhausted just trying to think how she was going to keep this under the radar. Her ability to see and talk to ghosts while still functioning in her official capacity would be a big plus and there were some cool twists in the authors's vision of this "undead" detective! I felt some places dragged on a little and I found myself giving cursory glances to many paragraphs without missing the important information. Don't know whose influence some of the superfluous writing was, normally J.R. Rain's books read and flow easily. But the story had a great beginning, some really cool characters, an interesting storyline and a set up for sequels for an ending. The makings of a fun series. It may not be top of my list to read ASAP (like I said, not a big zombie fan here) as there are other paranormal series I enjoy more but if you are die-hard Rain fans, you will pick this up and determine for yourself if it's your cup of tea. Can't argue with success. J.R. Rain is an ex-private investigator who now writes full-time in the Pacific Northwest. He lives in a small house on a small island with his small dog, Sadie. Rod Kierkegaard, Jr. is a writer and cartoonist. He lives in Washington, DC. Known in the US for his comic strip, "Rock Opera", which ran as a regular feature in Heavy Metal Magazine, he is also the author of two French graphic novel collections, "Stars Massacre", (released in the US as "Shooting Stars") and "Rock Monstres", both published by Editions Albin Michel, Paris.